The Drama course offers a challenging and very exciting opportunity for those students who are interested in performance and producing drama. GCSE Drama offers students the opportunity to explore a practical art form in which ideas and meaning are communicated to an audience through choices of form, style and convention. Students will create, perform and respond to drama, informed by their increasing theoretical knowledge so that they become adept at selecting the most effective means of expression. It covers aspects of improvisation and scripted performances and provides students with the opportunity to learn about stage lighting, sound, costume and design. Drama is an exciting, creative and challenging course which encourages you to develop as an independent learner with analytical awareness and critical, reflective thinking skills. The GCSE course suits pupils who are independent learners and who can organise their work over two years. The ability to analyse and construct your ideas though written communication. Collaborative skills, the ability to work with different people on new projects. This component is worth 40% of the GCSE. The component is externally assessed. This component is worth 20% of the GCSE. Practical exploration and study of a performance text. 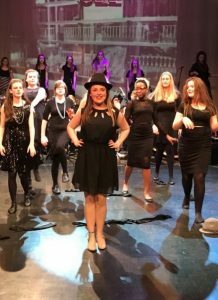 A GCSE in Drama can lead onto many A level courses, including Drama, Theatre Studies, Performing Arts or a BTEC level 3. Many of our A level students move onto Drama degree courses at university, Drama schools or careers in Education, Marketing and the Television & Film Industry.